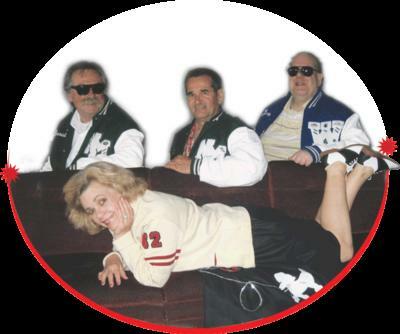 Best live Oldies bands on the west coast are the terms that would best describe this group and the sound samples you hear on the Demos are an exact replica of what you will hear when Your 50s Band (previously known for 10 years as the Dance Tonight Band) performs for your party! We will make your party come alive and we guarantee it! 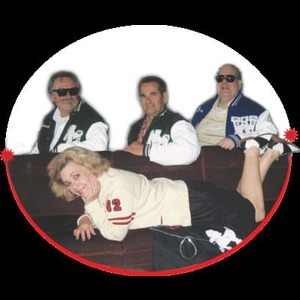 If you love the oldies but goodies you will really enjoy this group because they play the best top of the chart oldies ever recorded! It wont take long for your audience to warm up to this group and be singing along to what may be considered the very best music of all time. They don't just perform music, they have fun entertaining and their energy will get your group excited and out on the dance floor right away. For a number of years Your50sBand (formerly The Dance Tonight Band) has performed for dozens of fraternal organizations, weddings, car shows, dance halls and private parties and more... We encourage you to read their reviews to hear what others say about them. The Band's size and instrumentation can also be modified to perfectly match your budget, and entertainment needs, making the Dance Tonight Band an ideal choice for the best oldies party event ever! and...Don't forget... These old rock and roll favorites are great entertainment and is great for crowds of ALL AGES and the kind of music that made rock and roll what it is today. Thank you so much for your outstanding performance on our 50th anniversary. All our guest commented on how much they loved the music and we were so pleased that you got everyone on the dance floor. We couldn`t of ask for more. You really did help to make our day special. Glenn and his musicians were well recieved by our crowd. 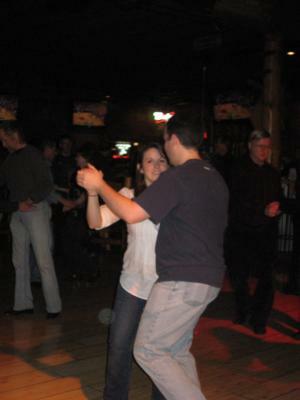 They have the best selection of oldies and they also play a wide variety of oldies music which was very inviting to dance to. The Tenor saxaphone was hot and their vocal harmonies were impressive. In addition to this, each band member was cordial and they were just plain fun to be around. Anyone hiring this band will not be dissapointed. We are already planning on hiring them back for more than one event in 2012. I heard only great comments from the dancers. We had a larger quantity of single ladies at this event and they felt right at home when Bev started the Electric Slide. Half the ballroom floor was line dancing and the other half for ballroom dancing. Pat, a single lady who has been at many of our dances, e-mailed me today saying she has never had such a great time dancing and being at a table filled with single ladies! There was something for everyone. Bev was very accommodating with the loudness of the band, the selection of songs for the band and they did great at providing a mixer which they may or may not have done in the past. Thanks Dance Tonight! !Paula H.
The Band is great to work with from start to finish. They read the crowd well and know the perfect timing for specific songs to get the crowd up and moving. They have a way of presenting humor that is respectful to everyone. Musical talent? What a great combination of musicians and vocalists, you can sure tell they enjoy performing and working together. I would strongly recommend this group. I have booked many groups and sometimes the talent isn't very easy to work with--this group makes you want to hug them at the end! I would like to challenge the actual reason for the lower than average ratings that we recieved at this performance. In each one of our past reviews we have recieved only the highest ratings and while performing for this client, several of the guests indicated that our music was absolutely awesome and 2 separate individuals in the group came up and asked for our business cards were planning on recommending our band to play at their clubs as well. We had so many positive comments from the guests and were a little surprized to see the feedback we recieved from the client. The client put on a great party in a beautiful setting and we enjoyed the eveing very much. Thanks for your being so much fun and the food was Great! Nice view and you guys sure like to Party! Look forward to your next party! Hire this band. You will not be sorry. Our event was a 75th birthday party with 150 guests. Everyone commented about how much they enjoyed the music. The band was very receptive to adjusting the volume to a level that would allow easy conversation. They played the birthday boy's favorite songs which he loved. All in all, they were the key to our event's success. The Dance Tonight band played at the 50th anniversary party for my in-laws.They have an extensive song list, and didn't mind that we picked and chose certain requests for them to play. Their songs were very well received by our guests. The guitarist played nice cocktail music while dinner was served, before the full band came on. The band members were very responsive to our requests, and introduced the toasts. I admire their professionalism and flexibility. I noticed that many in the crowd approached them afterward for their business cards. I would definitely recommend the Dance Tonight band for any event. Please note Your50sBand will also travel to Keizer, Brooks, Rickreall, Aumsville, Gervais, Independence, Silverton, Turner, West Stayton, Saint Benedict, St Benedict, Amity, Sublimity, Mount Angel, Woodburn, Dallas, Dayton, Marion, Monmouth, Stayton.